President Trump said Tuesday in his address to State of the Union that socialist policies of Venezuelan president Nicolas Maduro have damaged the country that was once wealthiest in South America. He condemned the brutality of Maduro regime saying Venezuela is now turned into a state of abject poverty. This is the second term of Maduro but internationally he considered as illegitimate. He had banned opponents from running for the presidential elections in late 2018 and opposition leader Juan Guaido self-declared himself as legitimate president on January 23. Guaido is currently being recognized as legitimate leader by United States, Canada and about 30 more countries. 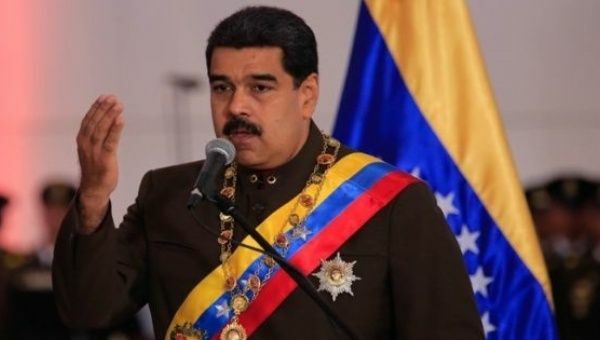 A PhD candidate at the University of Toronto and researcher at the Wilson Center in Washington, D.C., Nicolas Saldias, said the Trump’s United States is not helping to the Venezuelan situation and military thraets helping embattled leader Maduro. The Venezuelan president earlier had assued US wants to loot resources and return back to 20th century of military coups.